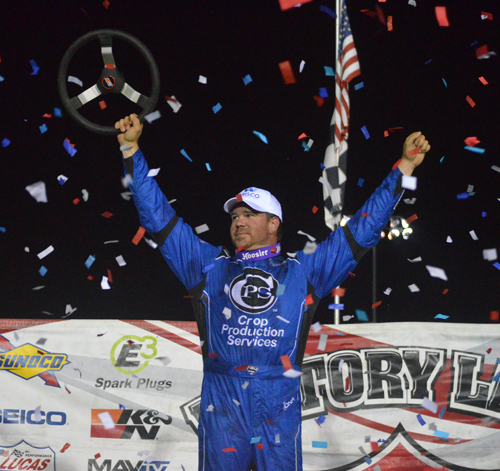 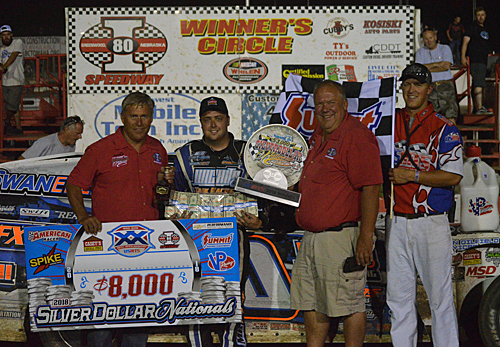 Jonathan Davenport of Blairsville, GA, scored the $53,000 victory at the Silver Dollar Nationals on Saturday night. 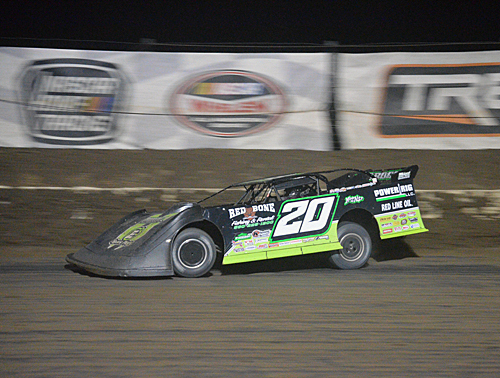 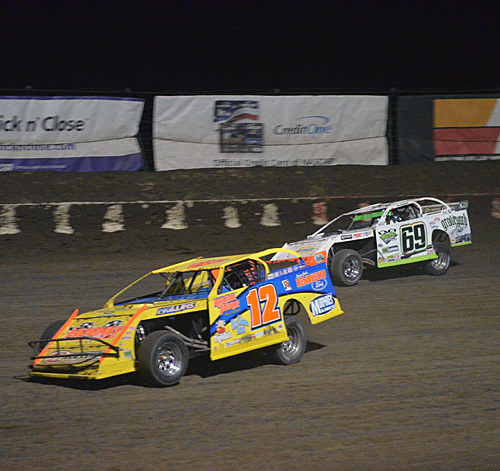 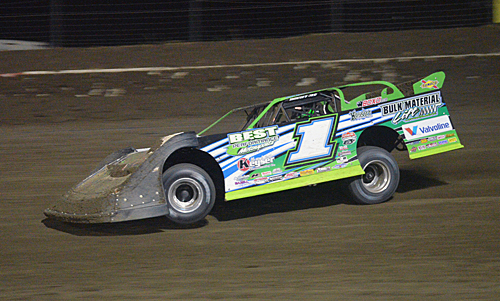 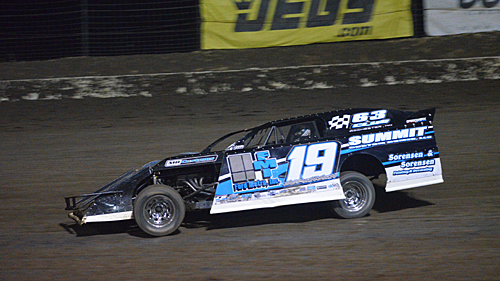 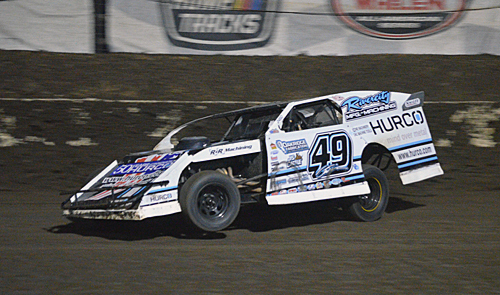 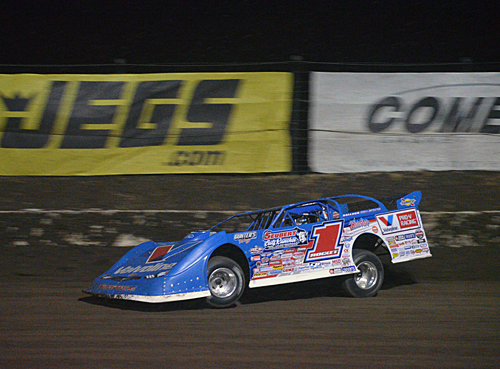 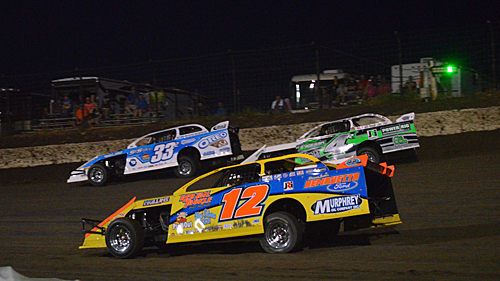 Rodney "Satch" Sanders of Happy, TX, won the USMTS 40-lap main event. 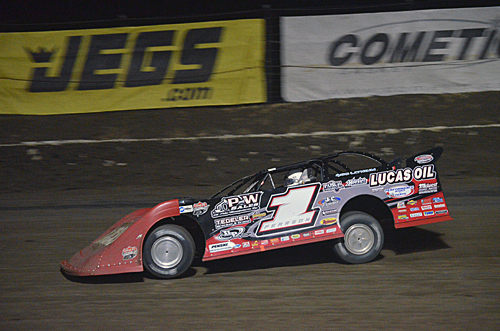 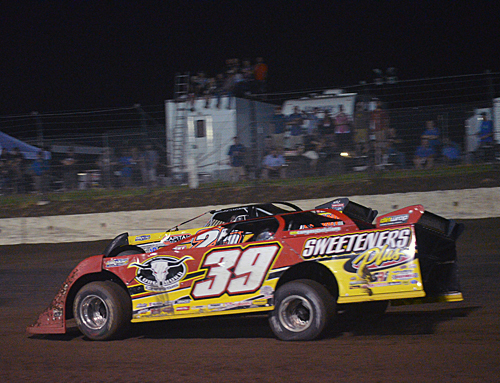 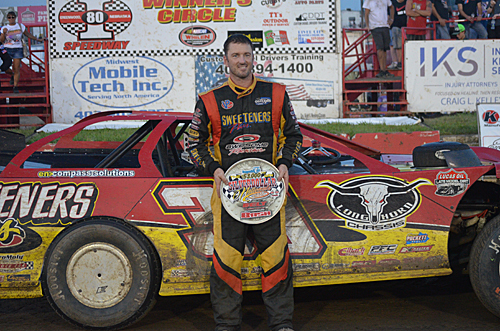 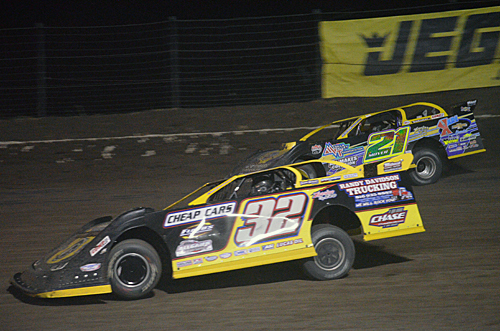 Tim McCreadie of Watertown, NY, won the Belt Bash for non-qualifiers. 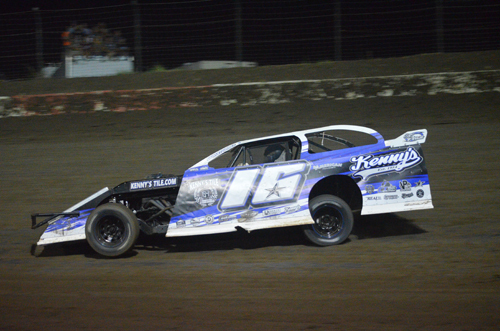 The defending Silver Dollar Nationals champion would start 31st in the main event and finish a respectable 8th place. 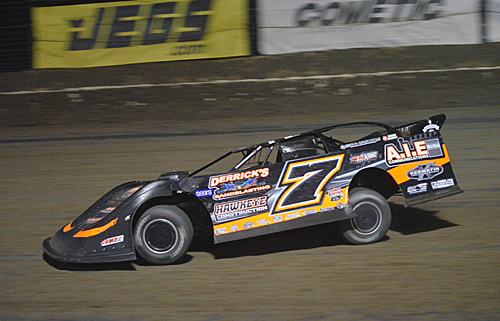 Mason Ziegler would start on the front row but drop out early. 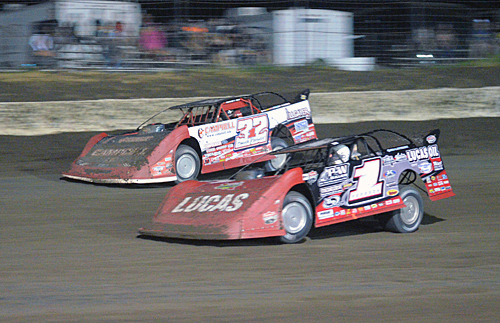 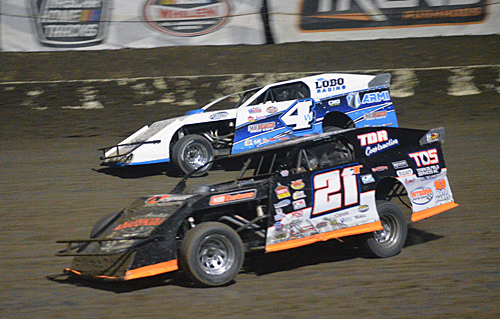 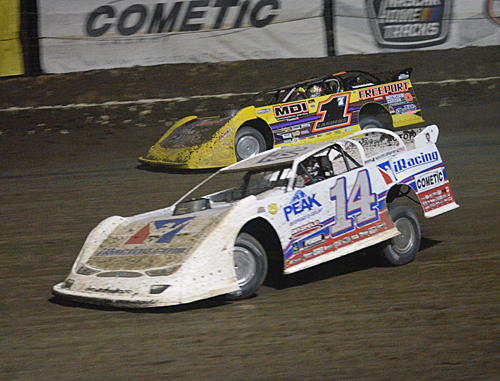 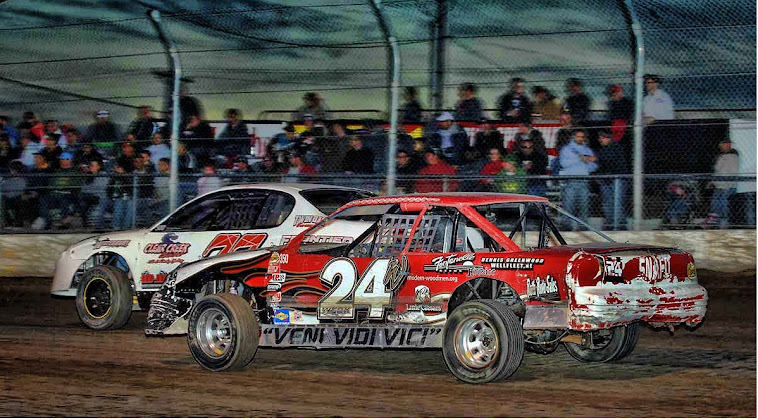 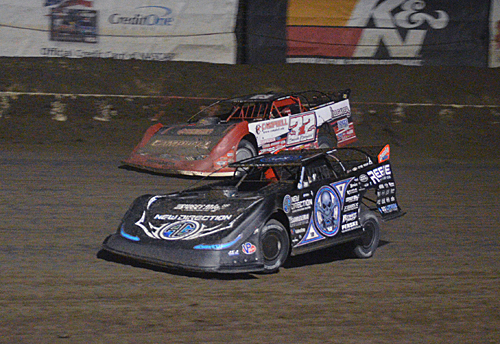 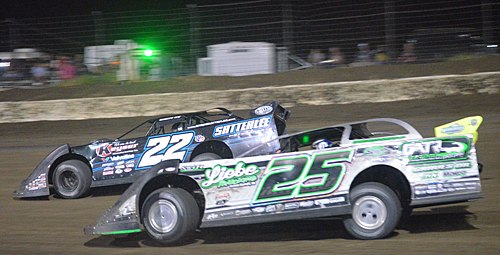 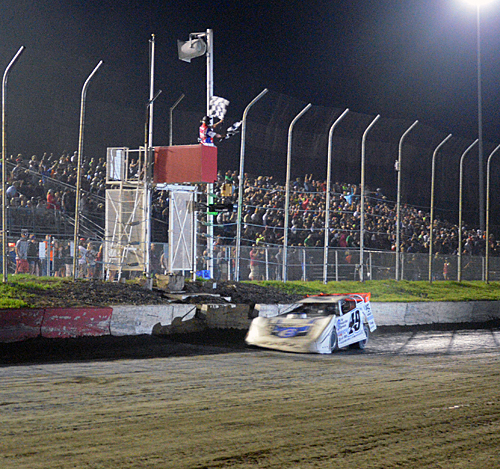 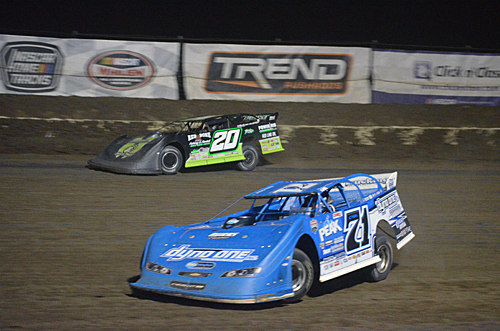 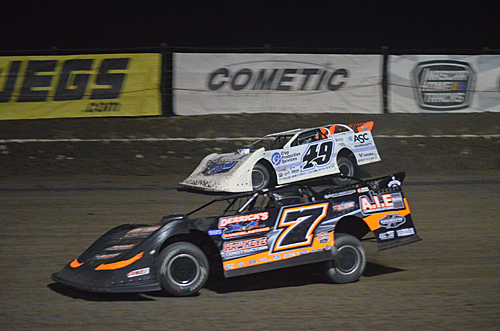 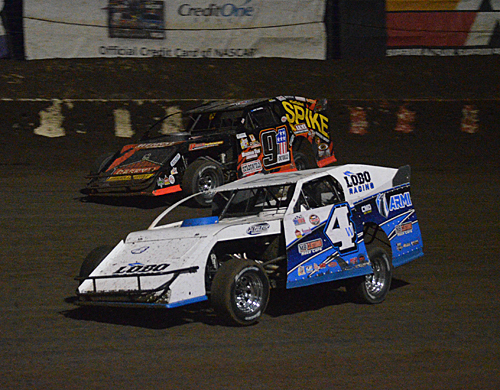 Bobby Pierce Jr. #32 takes the high side past Scott Bloomquist #0 for the lead. 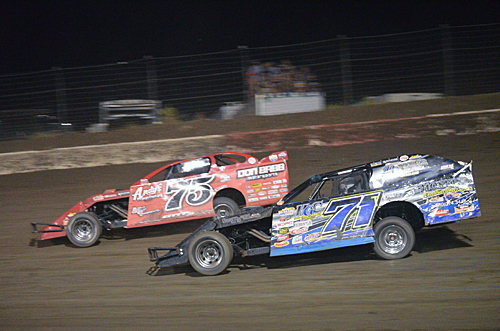 Hudson O'Neal #71 and Jimmy Owens #20 battle for a podium finish in the waning laps. 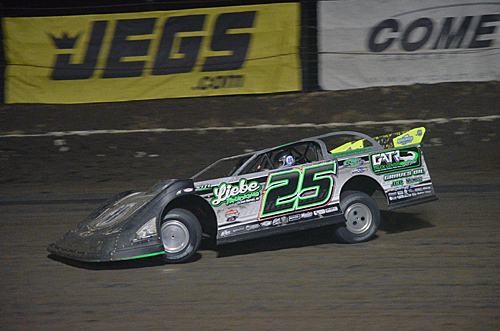 Earl Pearson Jr. finished fifth in the main event. 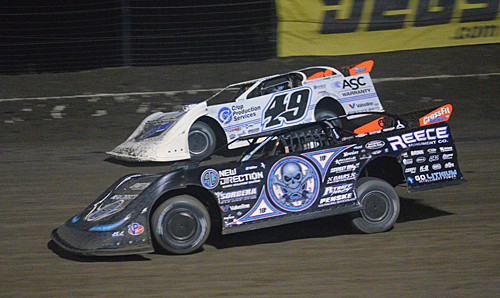 Scott Bloomquist #0 and Jonathan Davenport #49 battle for position. 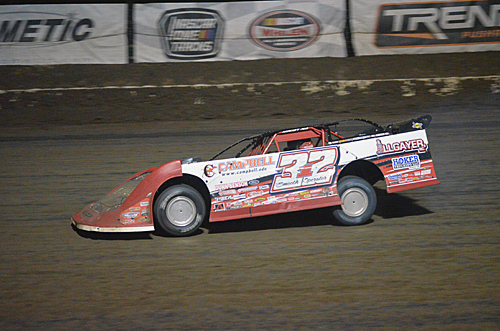 Bobby Pierce Jr. of Oakwood, IL., put the crowd on their feet with a spectacular run from his 28th starting position to first-place. 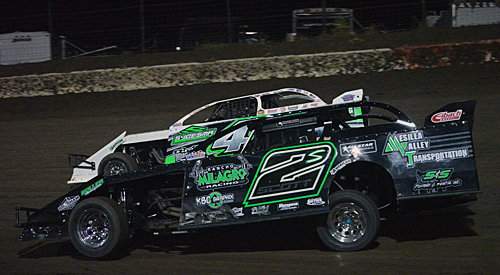 Unfortunately, Pierce's engine would let go with only 2 laps left in the race. 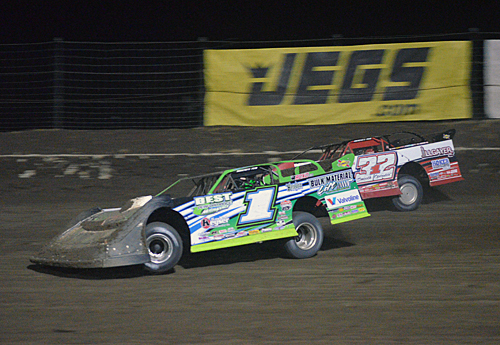 Ricky Weiss of Headingley, MB, drove an impressive race, leading the race early on, and taking runner-up honors. 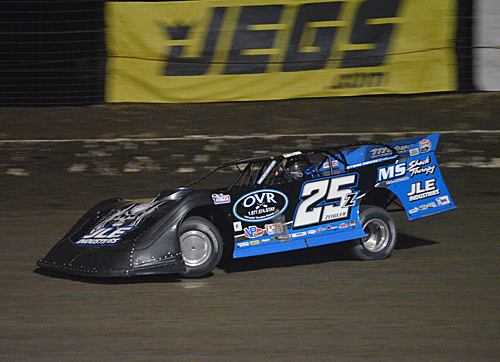 Jimmy Owens of Newport, TN, started 17th, drove a steady race and took home a third-place finish. 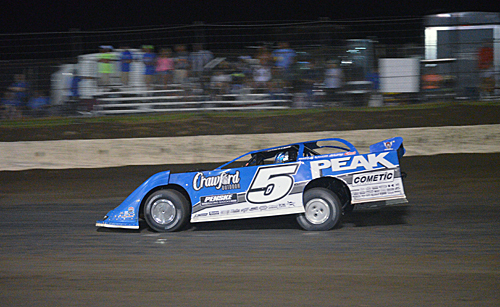 Jonathan Davenport takes the checkers and the $53,000 pay day.